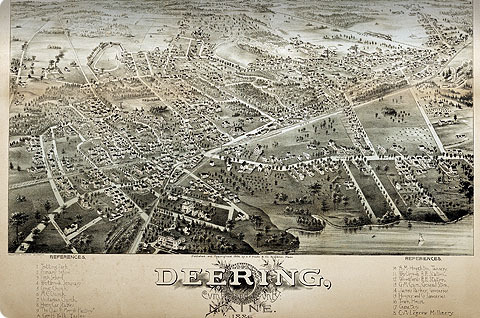 Through a long-term, intensive capacity-building effort involving 270 partners across the state, the Maine Historical Society has built a state-wide digital repository that serves as a model for other states and regions. 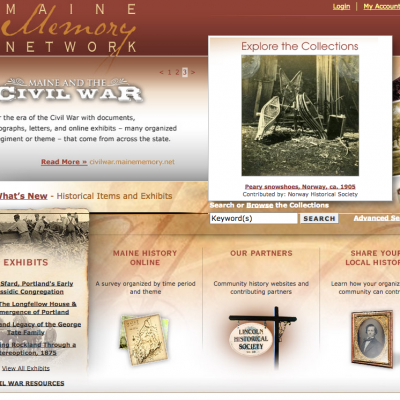 Launched in 2001, the Maine Historical Society’s Maine Memory Network enables contributing partners to play an active role in telling their state’s history by uploading, cataloging, and sharing information and images. As “Maine’s Statewide Digital Museum,” the online resource now provides access to over 210 online exhibits, teaching tools, a Create Your Own Album feature, and over 45,000 historical items contributed by over 270 participating organizations. 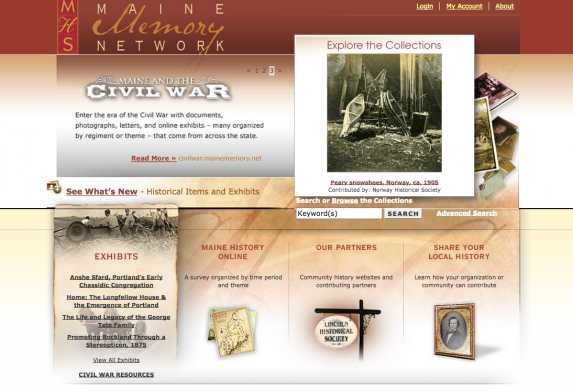 The related site Maine History Online lets users explore images, documents, objects, and essays focused on specific themes and time periods, with an eye toward connecting Maine to larger histories, relationships, and influences.